Hamilton Iron Works, Inc. is certified by the American Institute of Steel Construction for steel building structures. With 40 years of experience, Hamilton Iron Works, Inc. can handle all structural steel and miscellaneous steel projects. Hamilton Iron Works Inc. specializes in churches, schools, shopping plazas, hospitals, car dealerships, office buildings, movie theaters, hotels and other complex projects. The Company was started as Hamilton Welding in May of 1973 by Isaac and Judith Hamilton, fabricating and installing ornamental iron for residential builders and home owners. In 1980, the company was changed to Hamilton Welding and Iron, Inc. and the company began to branch out to include miscellaneous steel fabrication and erection. 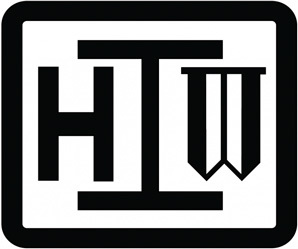 In December of 1983, Hamilton Welding and Iron became Hamilton Iron Works, Inc. and moved into its current facility on Telegraph Road located in Woodbridge, VA. With new facilities and a growing workforce, the Company began to fabricate structural steel along with miscellaneous metals and in 1989 obtained its AISC Structural Steel Certification. Hamilton Iron Works, Inc. is still operated under the same principles and values as when it started; Integrity, Value and Client Satisfaction. Hamilton Iron Works, Inc. is currently owned and operated by 2nd and 3rd generation members of the Hamilton family.